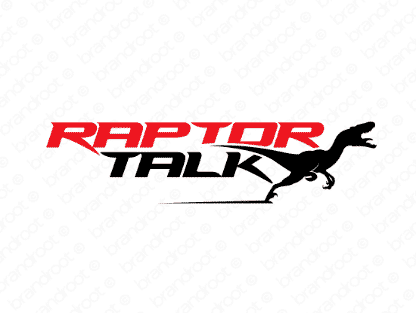 Brand raptortalk is for sale on Brandroot.com! Raptortalk is a hell of a name, invoking the spirit of one of the most recognizable dinosaurs of all time. It's the ideal fit for any business looking to appeal to a wide audience. You will have full ownership and rights to Raptortalk.com. One of our professional Brandroot representatives will contact you and walk you through the entire transfer process.